Panda Games is currently being run by a simple college student off of his personal computer. With help, it can be run off of an actual server box! But its a big goal, and this panda is gonna need a whole lot of help getting there. 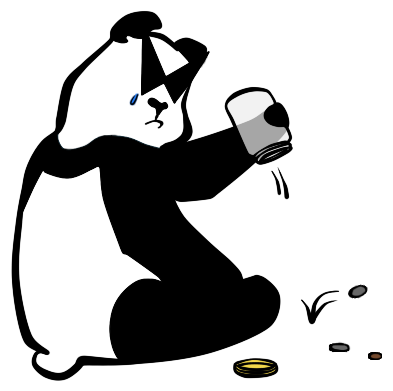 If you'd like to donate to the server, please click the sad panda below. Keep in mind that Paypal takes a small cut (2.9% + $0.30 USD) per transaction. If you can think of a better way to accept donations, please, contact me.